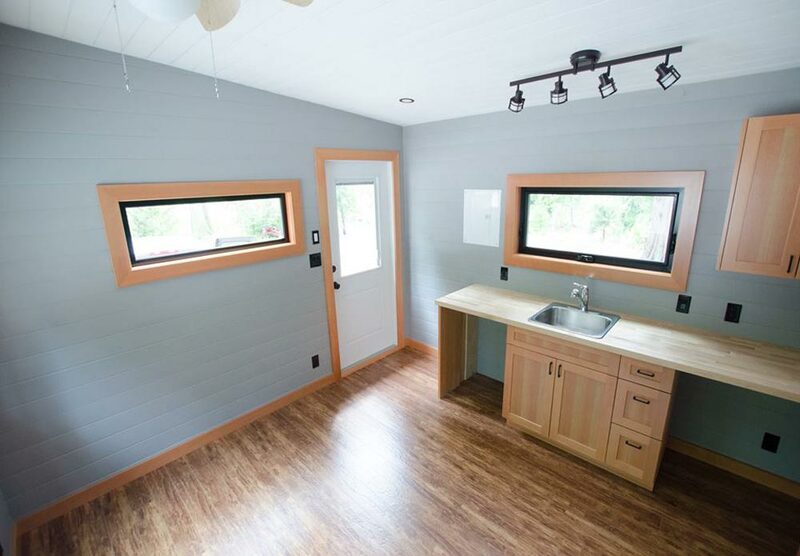 Ready to enjoy tiny living during your retirement years? 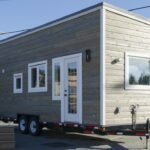 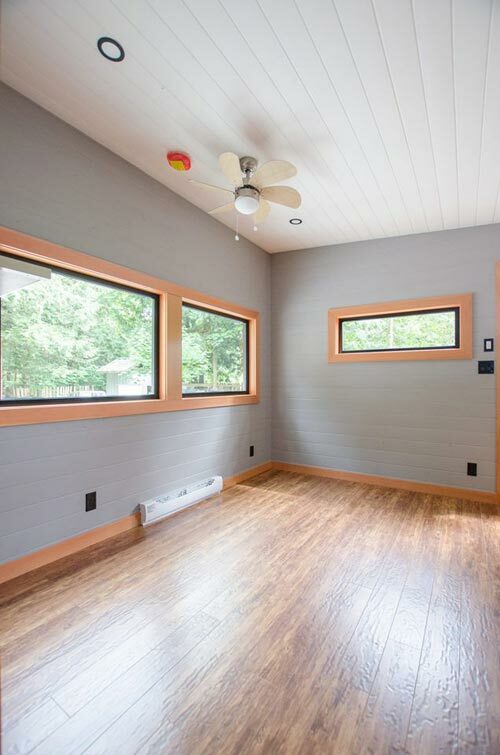 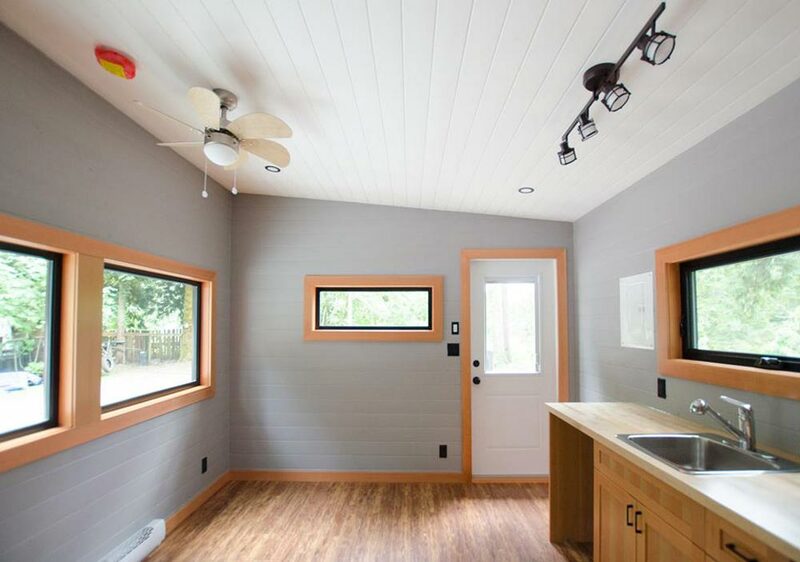 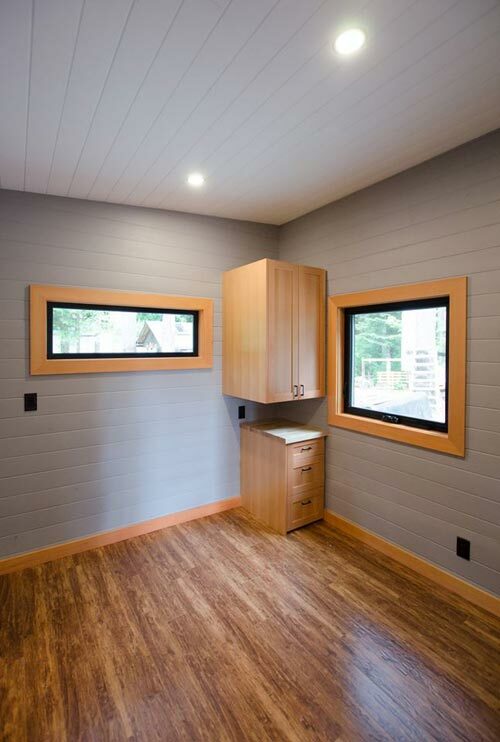 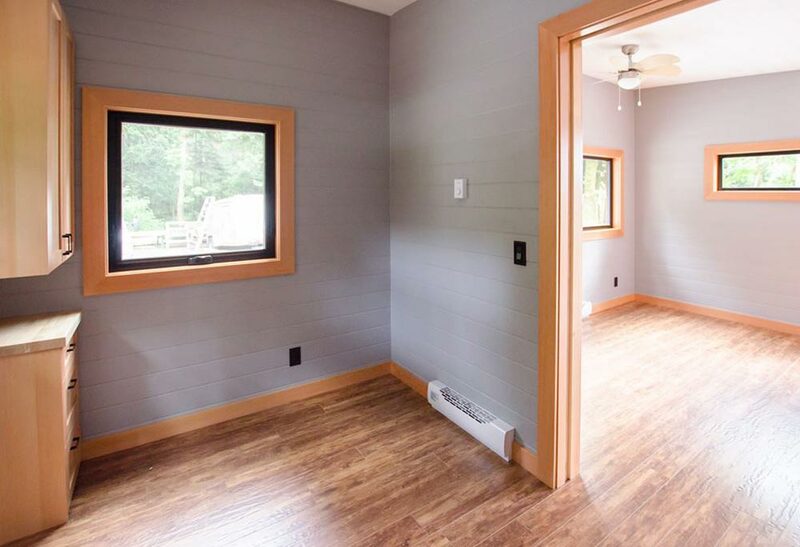 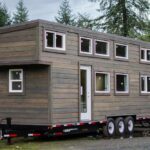 Rewild Homes built the 240-square-foot Ptarmigan for those looking to age comfortably in place. 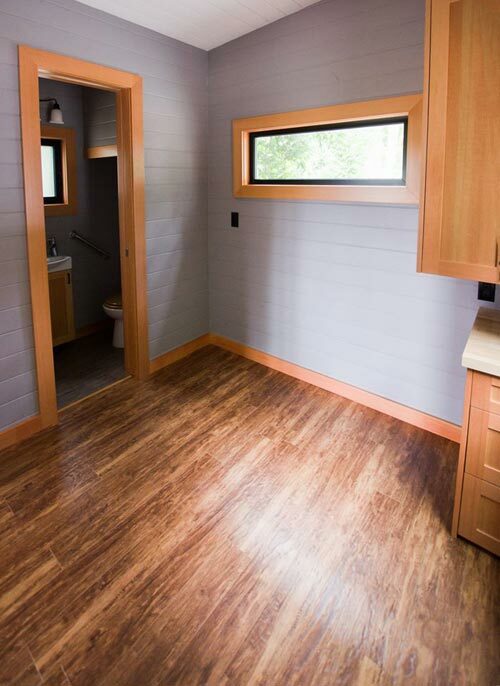 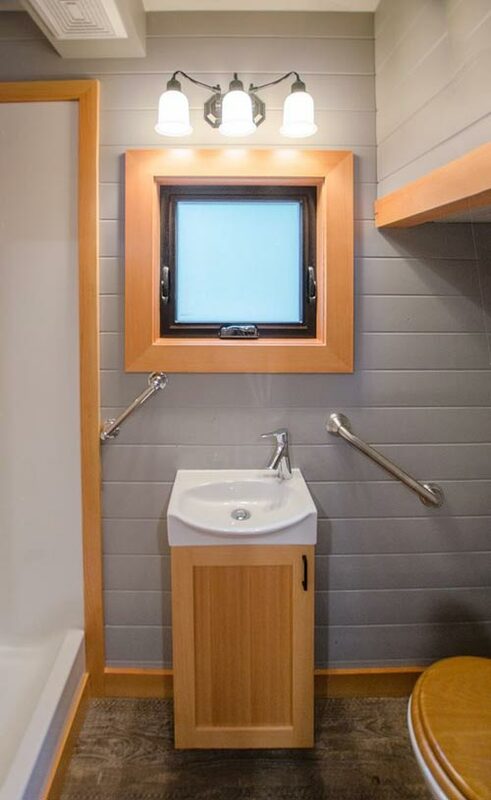 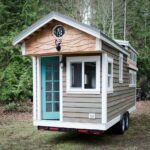 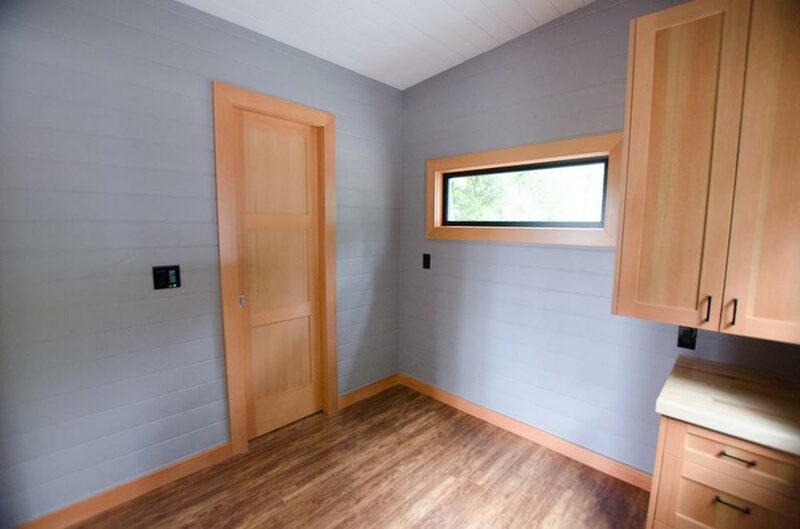 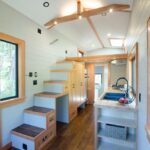 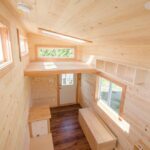 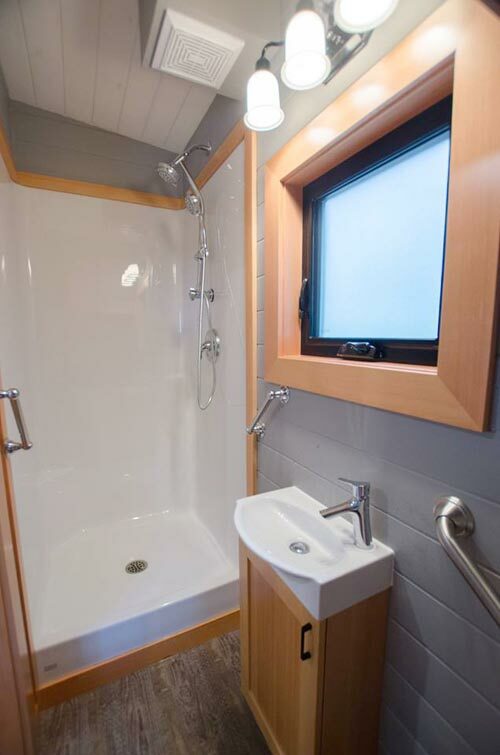 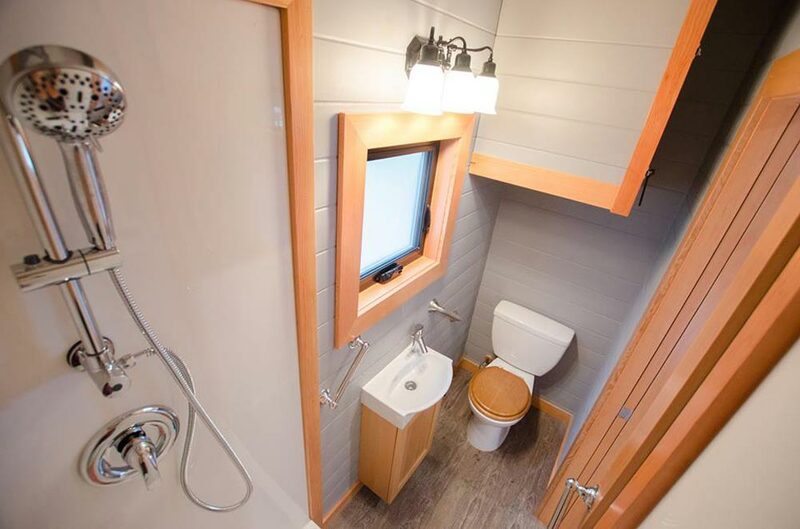 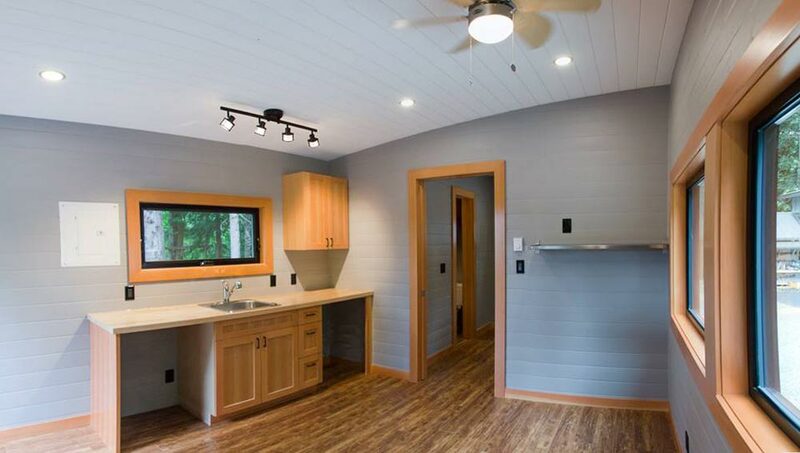 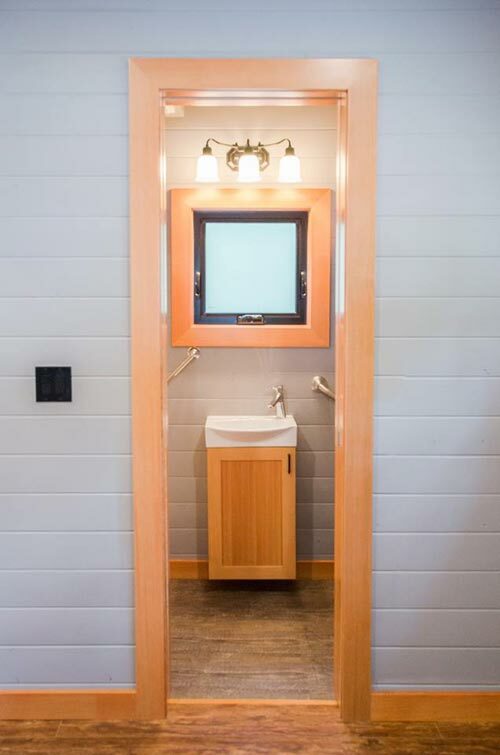 The single level tiny home has an ensuite bathroom with safety handles. 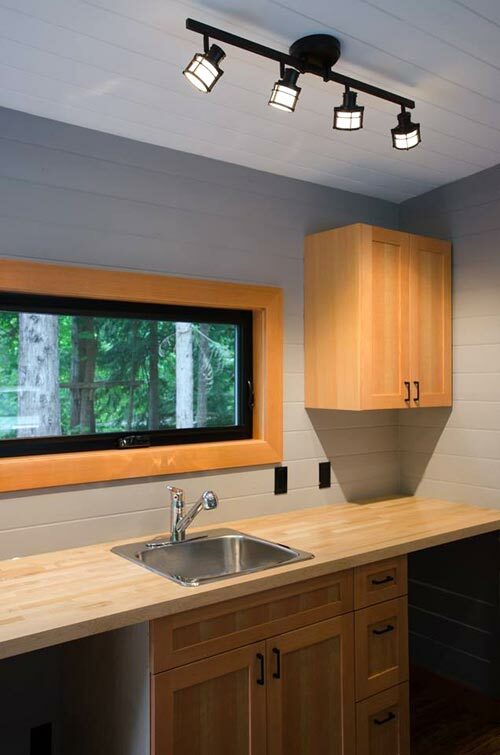 With its custom birch cabinetry, fir trim, and modern black fixtures, the Ptarmigan offers a luxurious self-contained suite, perfect for a retirement home or rental property. 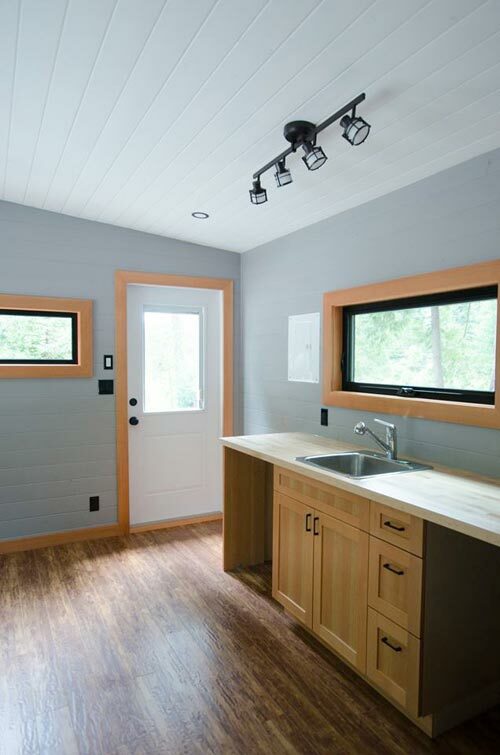 The kitchen has soft-closing drawers and cabinets throughout, a combo washer/dryer, and an under counter refrigerator. 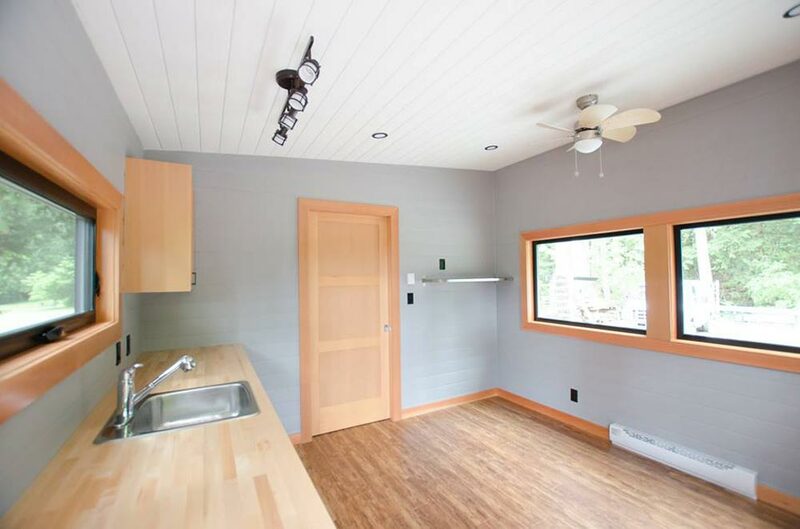 The ample counter space has room for an electric cooktop. 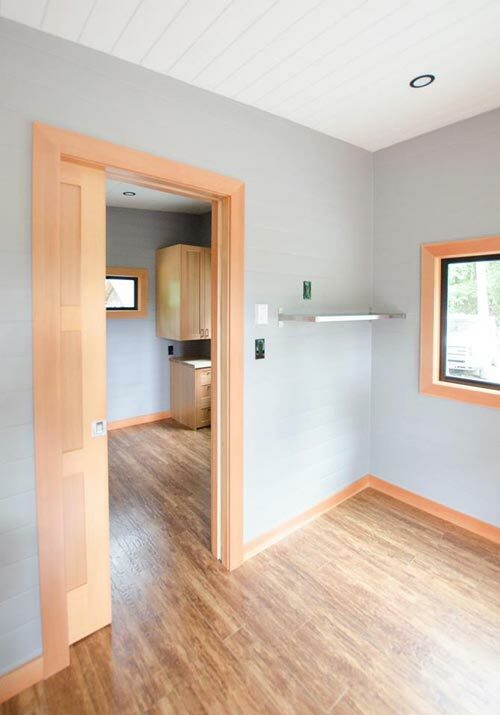 A fir pocket door leads into the bedroom where you’ll find a custom wardrobe and end table, room for a queen size bed, and another pocket door that separates the bathroom. 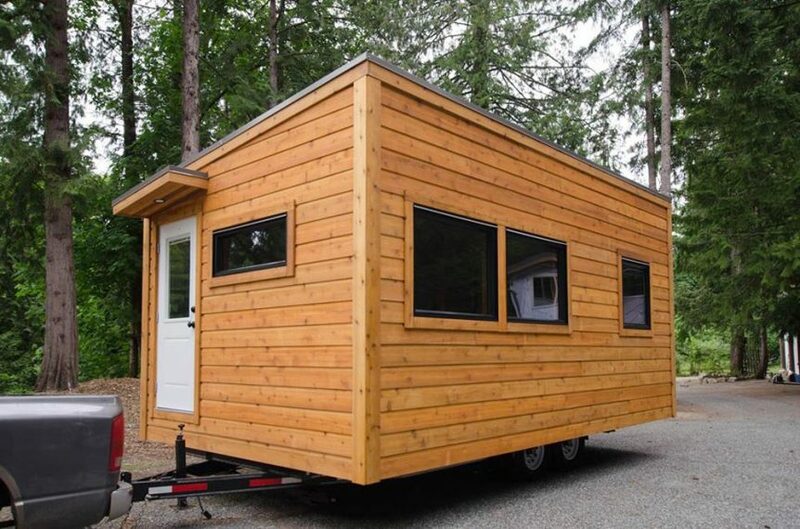 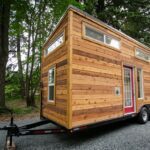 The Ptarmigan is an over-width tiny house 12-feet wide by 20-feet long and built on a custom 14,000lb GVW trailer.